Having spent 100s of hours on airplanes, it is sure that we all have stories to tell, but sometimes people go over the edge, just to play a practical joke and see how it works out. 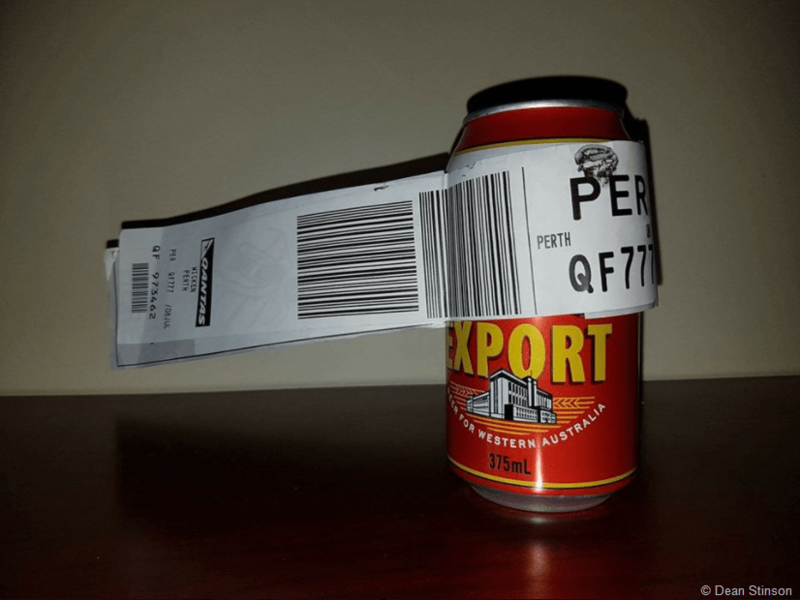 An Australian bloke, who called himself Dean, was on a flight between Melbourne to Perth last week, and he checked in only one piece of baggage: a can of Emu Export beer. “It wouldn’t register the can as a bag so I had to use some creative tray stacking to fool it into thinking there was a bag on the conveyor. Was bloody stoked when it finally went green and zoomed off,” he said. “If it arrived at the other end and had been drunk I probably could have forgiven the baggage boys for not being able to resist the bush chook temptation,” he said. But the can arrived on the luggage carousel — undamaged too. “A shoutout to the Perth baggage handlers — they sent the can out way before any of the other luggage,” Dean said. For the moment he’ll be saving the can, but it will be “consumed eventually.” Can’t let it go to waste, we guess.